When was the last time you saw a film in which an unwanted pregnancy ended in abortion? Did you ever consider that a film like this could make you laugh? Such is Obvious Child, recently screened as part of the Melbourne International Film Festival. After months of reading press from overseas and waiting desperately for some kind of Australian release, I can say that the film more than lived up to the hype and expectations. It is impossible to imagine this movie without Jenny Slate – not only is she natural and uproariously funny as Donna, but she brings such a huge degree of relatability to the character. Donna feels like a real person. So many women out there share similar stories with Donna, and for once they are offered a film that doesn’t shame or guilt them about their choices. Nearly every other film out there about unplanned pregnancy ends up with the woman or the couple deciding to see it through, barely acknowledging that there are other options out there. Most importantly, Donna surrounds herself with supportive friends and family who make her feel safe and secure, and in that regard the film provides a very comforting atmosphere. Perhaps the most surprising aspect of the film is that there is no one to challenge Donna or beg her to rethink her decision. Even Max, who in the hands of another writer or director might have attempted to dissuade her from her decision, is presented in a highly idealized view. His reactions feel honest (I mean, who wouldn’t be shocked to find out they got someone pregnant in a drunken one night stand) but he is never anything but considerate of Donna’s feelings and wishes – exactly how a person should behave. Would the film have been better if it had shown the other side of the debate? It would have added another dynamic, but one that wasn’t necessary to this story. We see enough of that in other forms of media. Romance is by no means the major theme of this story. Of course Donna and Max’ relationship is incredibly endearing, and it’s one of the things I loved about the film, but there is no grand fairytale-like romantic drama about the two of them coming together. 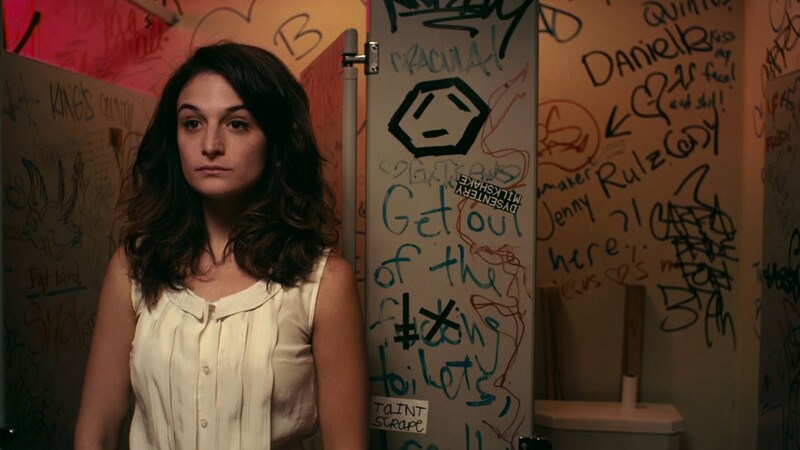 Obvious Child is about navigating life, exploring various types of relationships (friends, lovers, parental). It is a film that presents the body in a far more realistic view – bodily functions are joked about and played for laughs, but never for a sense of gross-out humour. It’s refreshingly normal. There is something absolutely wonderful about sitting in a packed cinema, where the entire audience is laughing out loud at every single joke the film cracks. 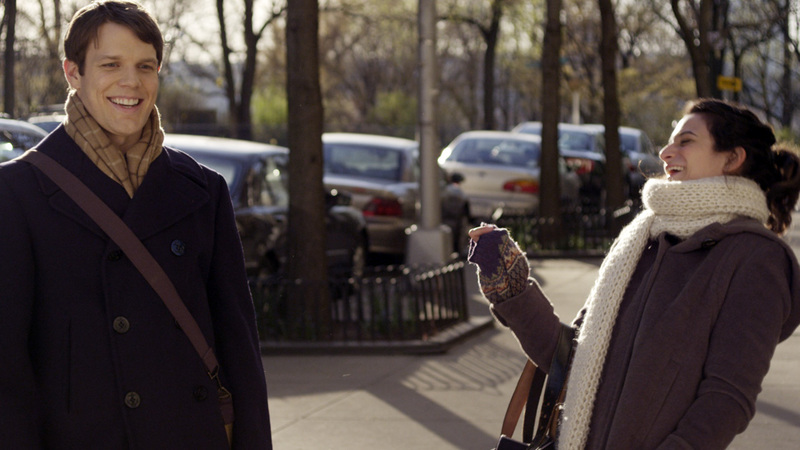 Witty, clever, Obvious Child never lets up. Donna’s humour is self-deprecating – she picks out stuff from her own life to form her comedy routine, but you never find yourself laughing at her. You laugh with her, and at yourselves, and at the utter absurdity of the human condition. You’ll be moved (possibly to tears), and most importantly, it’ll make you think. It’s weird and wonderful, and I left with the biggest smile on my face. I’ve never seen a film quite like it, and I will urge anyway to give it a chance.